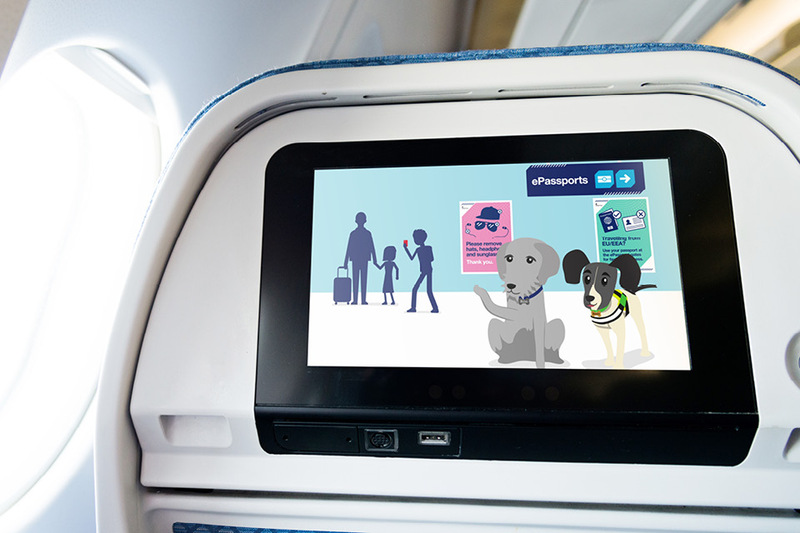 We were briefed to produce a family-focused education and entertainment pack to be used at various national ports. 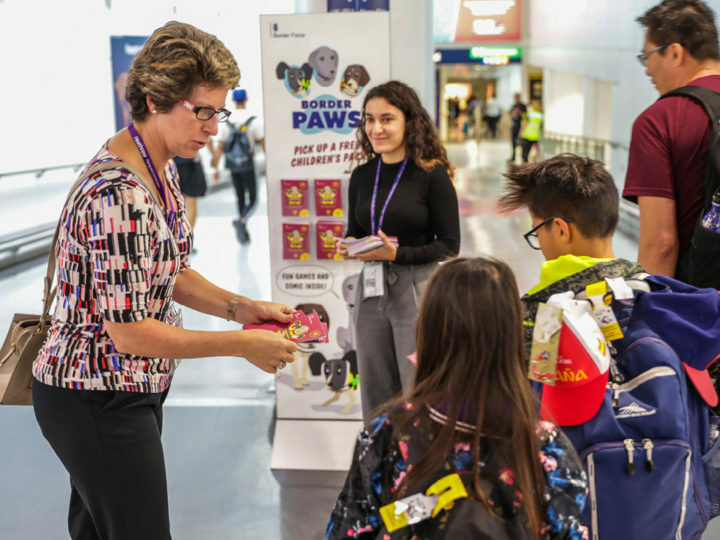 Its aim was to help families with young children understand why delays may occur during peak travel times and how to ease their passage through border control. 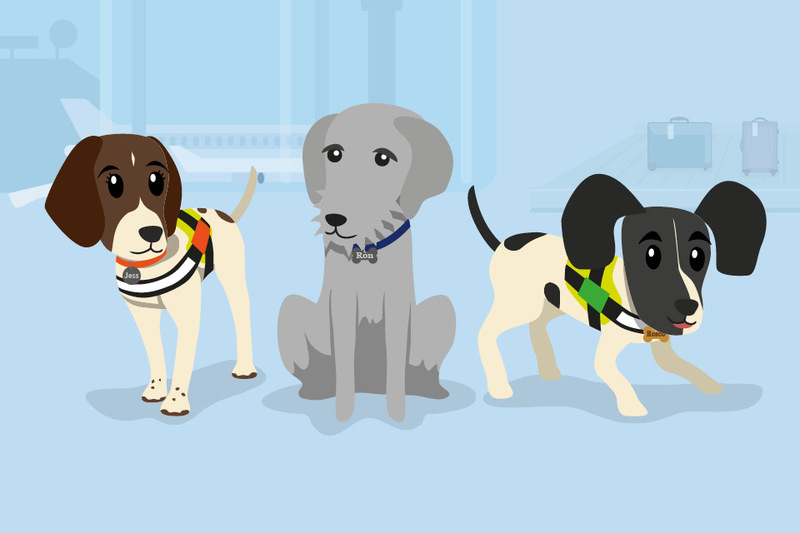 We developed 3 illustrated dog characters – based on real-life detector dogs – to appeal to the target audience. 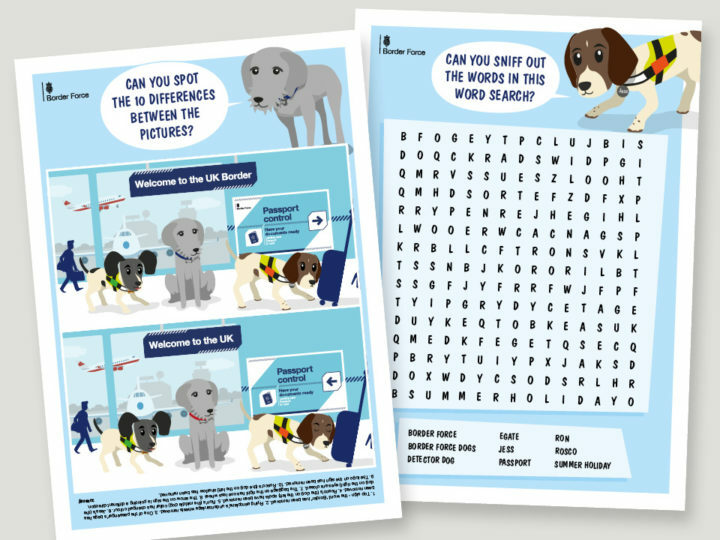 The friendly characters have distinct personalities and fronted a range of items including puzzles, a comic and an animation. I think this campaign is a great example of how both clients and Design102 can work together to produce innovative material. 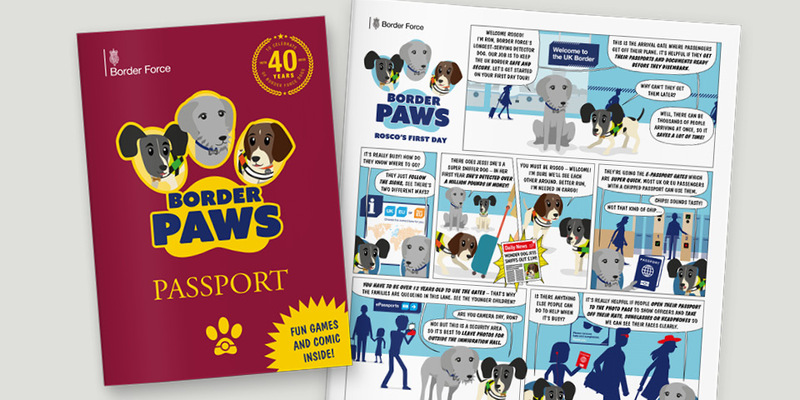 While colleagues were initially sceptical, once they saw the final assets, including the BP Passport, they were reassured that the material would benefit Border Force and help families. This is now on display across a number of ports – in fact Heathrow needed a reprint after the first week. 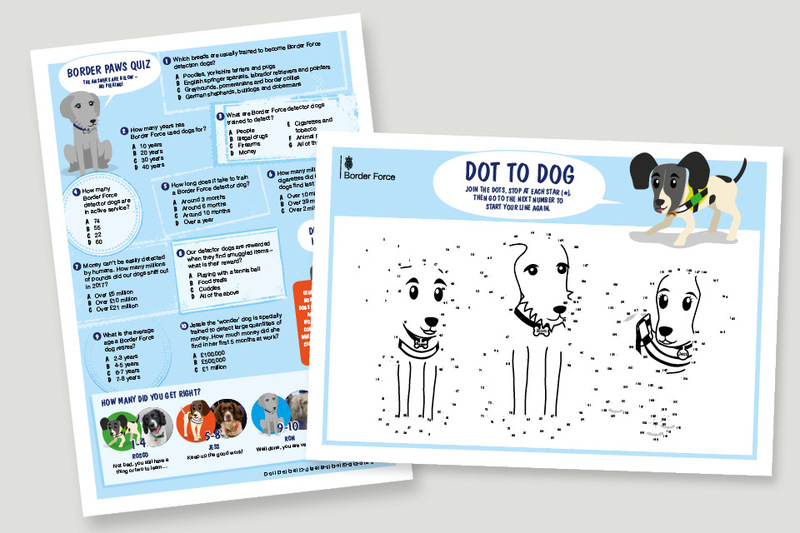 Love it – you and your team have worked so hard to showcase the dogs in such a positive way. Thank you.